Locality: United States, Colorado, Summit, Ten Mile Range, East face of peak 8. Habitat: Moist, snow drainage area. 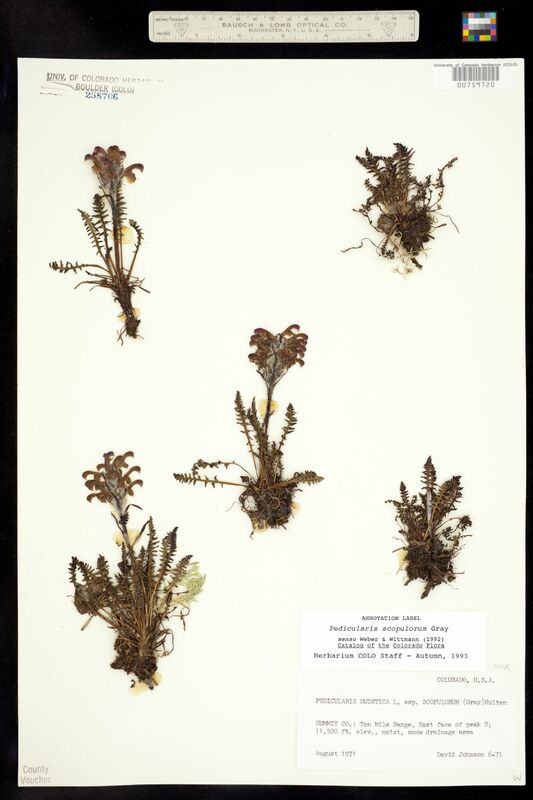 Occurrence Remarks: Original ID: Pedicularis sudetica L. ssp. scopulorum (Gray) Hulten.